I think the answer depends on what type of advisor you’re considering. But first, let’s get something important (and perhaps obvious) out of the way: Intentionally withholding information from your advisor is generally unhelpful if your goal is to get the best advice possible. As a result, anybody giving you financial advice should at least know about all of your holdings. If we’re talking about a professional who only gives as-needed advice rather than actually managing the portfolio (e.g., an hourly financial planner), you’ll be the one in control of the portfolio the entire time. There’s no real downside to showing them everything — if you don’t like the advice you get you can always choose not to implement it. If we’re talking about an investment manager, and the idea is to give them a portion of the portfolio to test their performance over a given period, I have to say that such an approach doesn’t make sense to me. Before giving the advisor so much as a dollar, you should have both a good understanding of their investment philosophy and a high degree of confidence in that investment philosophy. It needs to be the sort of relationship where you continue to value their services even during periods of poor performance, because there will be such periods. That is, you should choose an investment manager based on the fact that they practice an investment philosophy you believe in, not based on their performance over a particular short period. On the other hand, I think there are some cases in which a small-scale test for an investment manager can make sense. For example, if we’re talking about an online-only investment manager (e.g., Betterment or Wealthfront), and your concern is something mundane for which you can get a clear yes/no answer right away (e.g., whether you will like their website, interface, etc)., then it can be perfectly reasonable to move a very small amount of money over to them to see what you think before transferring the whole portfolio. If we’re talking about a commission-paid advisor, it usually makes sense to stay away completely rather than giving them even a piece of your portfolio. A commission-based pay structure creates significant conflicts of interest between the client and the advisor, which typically results in subpar advice, such as recommendations of undesirably expensive investments. There are several possible steps to consider, each with the goal of either simplifying your portfolio or reducing your reliance on your portfolio. First, it can be helpful to reduce the number of investment accounts you have — and keep them all with one firm. 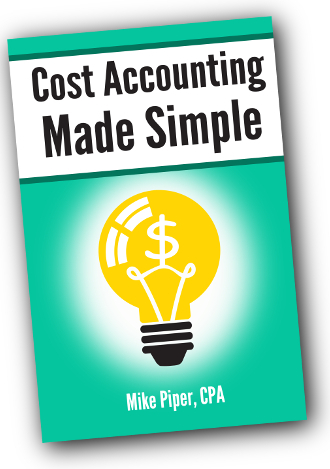 Rolling all of your previous employer-sponsored accounts into IRAs, and combining all your IRAs at one place makes things much simpler. It’s easier to stay on top of everything if you can see it all at once on a single statement or website. Second: Create a low-maintenance portfolio. If you’re worried about a decline in your ability to make good decisions, you don’t want to be bothering with individual stocks or actively managed mutual funds, trying to follow them closely enough to know just when to sell (a difficult task for even the sharpest of investors). A portfolio of passive, broadly-diversified mutual funds requires less work. And the fewer holdings you have, the easier it is to rebalance your portfolio as necessary. For many investors it will even make sense to simplify all the way down to a single all-in-one fund that requires no ongoing maintenance. Third: Delay Social Security. 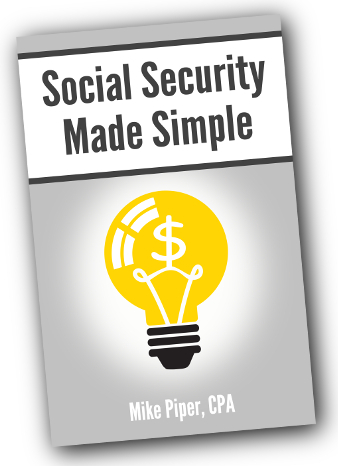 While waiting to take Social Security often makes sense purely based on the numbers (especially for the higher earner in a married couple), it also has a benefit from a simplification standpoint in that it provides you with a safe source of income that doesn’t require you to make any ongoing decisions. Fourth: Buy a single premium immediate lifetime annuity. Such an annuity is basically a pension from an insurance company. Buying such an annuity is typically a worse deal than delaying Social Security, but doing so can make sense if you want to further increase the amount of non-portfolio income you receive each month (i.e., income that, like Social Security, does not require any ongoing decisions). And finally, I do think that hiring somebody to manage your portfolio is one of the better ways to protect yourself against declining financial acumen. At the risk of sounding like a broken record (having discussed this just last week), there are now several firms that offer portfolio management for a fairly low cost — either a small percentage of the portfolio (less than half of one percent per year) or a flat fee. Of course, none of the above strategies are one-size-fits-all. Some might make sense for you while others do not. How Much Should You Pay a Financial Advisor? This tax season, relative to preparing my return by hand, I would say that TurboTax saved me at least $500 worth of time and stress. And I imagine it will save me a comparable amount of time and stress next year. So, come January 2015, if Amazon is selling TurboTax for $400, would it make sense for me to buy it? Of course not (despite the fact that it would improve my “consumer surplus”). And the reason is obvious: I can buy it elsewhere at a much lower price. When promoting their services, many financial advisors like to state that their fee is a bargain because they can improve most investors’ portfolio performance by an amount equal to or greater than their fee. For example, an advisor charging 1% per year might argue that the fee is worth paying because, without an advisor, most investors will lose at least 1% of performance per year due to picking poor funds, misguided attempts at market timing, and other mistakes that the advisor will help them to avoid. The problem with this analysis is that it fails to ask whether the same services can be purchased elsewhere at a lower price. The price of portfolio management (i.e., the actual running of the portfolio — purchasing funds, rebalancing, etc.) is quickly being driven downward due to competition. At the most basic end, a Vanguard Target Retirement or LifeStrategy fund is a version of portfolio management — maintaining a diversified selection of index funds for a cost of roughly 0.10% per year (relative to the cost of a DIY index fund portfolio). One new startup actually intends to offer such services completely free of charge. In addition, as recently reported on the Bogleheads Blog, for a cost of 0.30% per year, Vanguard’s new Personal Advisor Services gives you portfolio management, plus a basic annual financial plan from a CFP, plus a designated CFP to contact when you have questions. 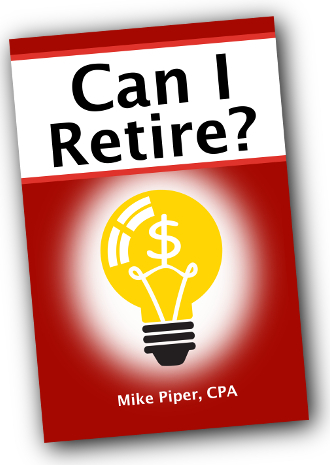 Will I have enough saved by retirement? In short, basic portfolio management and basic portfolio-related advice are both available at a very low cost these days. Paying anything more only makes sense when you need (and are going to receive) more specialized or more thorough services (e.g., a retirement plan that incorporates not only investment decisions, but also Social Security decisions, tax planning decisions, and health insurance decisions). Will RMDs Force Me to Run Out of Money? No. All you have to do to satisfy the RMD rules is take the necessary amount out of the account (and, therefore, pay taxes on it in most cases). You are not required to spend the money. Interestingly, the RMD rules won’t even force most people to deplete their IRAs during their lifetimes, because, in most cases, the RMD rules do not actually require you to distribute the account over your life expectancy, but rather over a longer period. The “Single Life” table, which is used by IRA beneficiaries (i.e., people who have inherited the account). If you take a look at the Uniform Lifetime table and compare it to any actuarial life expectancy table, you’ll see that it is not actually showing the life expectancy of a single person. For example, the Uniform Lifetime table shows a distribution period of 18.7 years for an 80-year old. In contrast, the Social Security actuarial table shows that an 80-year-old has a life expectancy of just 8.10 years (if male) or 9.65 years (if female). As it turns out, the Uniform Lifetime table is actually meant to indicate the second-to-die life expectancy for a person of the age in question and a hypothetical beneficiary who is 10 years younger than the IRA owner. The Joint and Last Survivor table calculates RMDs over the second-to-die life expectancy of the IRA owner and the more-than-10-years-younger spousal beneficiary (i.e., an even longer period than is shown in the Uniform Lifetime table). In other words, RMDs for original IRA owners are calculated over a period longer than the life expectancy of the IRA owner. The Single Life table — the one used by beneficiaries of an IRA — is the only one that represents the life expectancy for a single person, hence the name “Single Life” table. Waiting to Get Married: A Recipe for Social Security Trouble? This week a longtime reader pointed me to a recent Consumerist article with the provocative headline “Outdated Social Security System Puts Some Who Wait To Marry At Greater Risk For Poverty In Retirement.” The reader wanted to know whether the claim in the title made sense and, if so, why that would be the case. It’s true that waiting to marry has a number of financial consequences — some of them negative. For example, if you intend to spend several years out of the workforce to raise children, it’s generally better (from a financial perspective) to do it early in your career rather than missing several years in the middle (i.e., years that would otherwise be higher-earning years) and having to start over. But as far as Social Security goes, waiting to get married isn’t really a problem. You only have to be married for one year (less, in some cases) to qualify for spousal benefits. And, in this regard, it’s an all-or-nothing sort of qualification. That is, being married longer does not increase the amount of spousal benefits for which you would be eligible. Is still in effect (and is at least 1 year old) by age 62. There are a number of ways in which the Social Security system could be considered outdated. For example, if you look at the ratio of benefits received to taxes paid, Social Security is typically more generous to couples in which only one spouse works than to couples in which both spouses work. * But waiting to get married doesn’t really put you at a significant disadvantage as far as Social Security is concerned. *The system is even less generous to people who don’t get married at all — because their work record can only result in retirement benefits rather than retirement benefits and spousal benefits.